Officially the Commonwealth of Australia, Australia is one of the most visited and most well known tourist destinations of the world. Your Australian vacations are going to be truly amazing. Australia provides a range of tourist attractions, for a wonderful vacation in an amiable environment. Almost as big as mainland United States, Australia has a population of around 18 million people.Australia has 47,000 km of coastline, 11 World Heritage sites and more than 3000 national parks and reserves. Famous for its beaches, natural wonders, wide open spaces, deserts, and “the Outback”, Australia is one of the world’s most well urbanized countries. One of the most sophisticated, colorful and cosmopolitan cities in the world, Sydney, has several times been voted as the world’s best city by the famous US Travel Magazine Conde Nast Traveler magazine. The exhilarating Harbour City of Sydney is the doorway to Australia’s numerous attractions.Gold Coast is a visitor’s wonderland. It is renowned worldwide for its 70 km-coastline of apparently never-ending beaches, relaxed lifestyle and pure rain forests. Sophisticated and sensational, the Gold Coast offers all the excitement and facilities of an international resort that includes a casino. After Sydney, Melbourne and Brisbane, Cairns region is the fourth-most admired destination for international tourists in Australia. Cruises to the Great Barrier Reef, white water rafting, golf and coach tours are the various activities that take place in the region. 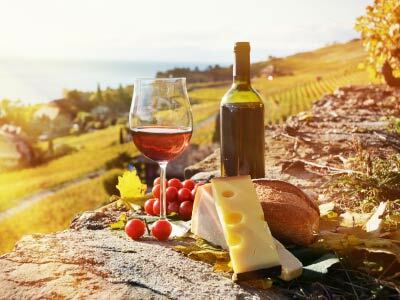 There are also scenic flights, day trips to crocodile farms, Kuranda, and a food-and-wine tour witnessing tropical fruit wineries. We offer Australia packages from Delhi at prices that are best and easy to afford. Enjoy a delightful and memorable trip with us. 03 nights accommodation in Melbourne. 03 nights accommodation in Gold Coast. 03 nights accommodation in Sydney. Choice of one Full Day Tours from Melbourne. Great Ocean Road Tour OR Phillip Island OR Sovereign Hills Gold Rush Tour OR Puffing Billy Steam Train Tour and Yarra Valley Wine Tour OR Puffing Billy Steam Train Tour and Healsville Wildlife Tour. Choice of one seat in coach transfer to seaworld or movieworld admission. Full Day Seat in coach Kuranda Tour including 1Way SkyRail admission & 1Way ScenicRail admission. Sydney ShowBoat Indian Dinner Cruise. Melbourne is a cosmopolitan, suburban, football crazy city with incredible history, culture and beautiful landscape. The city passionate about food and drinks, entices tourists with the effortless charisma of its people, arts, theater, exhibitions and musical extravaganzas.Welcome to Melbourne! After immigration and customs. Board the coach for your transfer to the hotel. 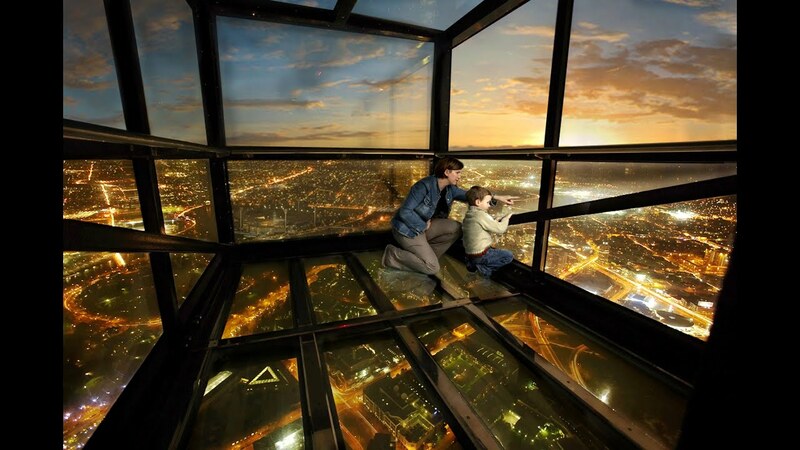 You may opt to visit Eureka Sky deck 88 (optional) in the evening and experience the awe inspiring view of Melbourne from the Southern Hemisphere’s highest viewing platform. You can also enjoy ‘The Edge’ which will make you experience Melbourne in a unique way; sitting in a glass cube which projects 3 meters out from the building and is suspended almost 300 meters above the ground.Overnight stay at your hotel. After a sumptuous breakfast at hotel, proceed for Melbourne City tour. Begin your journey from the Federation Square and explore the cosmopolitan city with wide boulevards and fine historic buildings. Drive past the ultimate shopping strip and business center of Bourke Street Mall and the tree-lined beauty of Collins Street. View fine examples of Melbourne’s architectural splendour, including St. Paul’s Cathedral, Princess and Regent Theaters. See Melbourne Town Hall, the Royal Exhibition Buildings and Federation Square. Stroll around Melbourne’s spectacular Royal Botanic Gardens.Visit the beautiful Fitzroy Gardens and explore Captain Cook’s Cottage. Pay tribute to the soldiers of war at the historic Shrine of Remembrance. Cross the Bolte Bridge for amazing views of the city skyline. The tour concludes at the Federation Square.Later take the Free Melbourne City Tourist Shuttle Bus from outside the St Paul’s Cathedral (opposite the Federation Square) to Sports Precinct or and walk across to Gate # 3 (between light towers 1 & 2) to Join the guided 1 Hr Melbourne Cricket Ground (MCG) tour OR Walk across to South gate Art & Leisure Precinct to Join 1 Hr Melbourne Yarra River Cruise. Return to Hotel on own. Overnight at your Hotel. After breakfast. Choice of 1 Full Day Seat In Coach Tour.Morning Full Day Great Ocean Road Tour OR Ex Federation Square Afternoon Full Day Phillip Island Penguins, Kangaroos & Koalas OR Morning Full Day Sovereign Hill Gold Rush Tour OR Morning Full Day Puffing Billy Steam Train & Yarra Valley Wineries of Dominique Portet, Rochford OR Morning Full Day Puffing Billy Steam Train & Healsville Wildlife Tour . After breakfast. Depart to Melbourne Tullamarine Airport by Seat In Coach Transfer for flights within 2300hrs. Arrive Brisbane or Gold Coast Airport Seat In Coach Transfer to your Hotel. After a sumptuous breakfast at hotel, proceed for the tour to Dream World . Get below the surface to discover a world of fun and adventure at Dream World. You cannot afford to miss the newly launched.Prepare yourself for a takeoff like you’ve never experienced. On board the Tail Spin, you’ll strap yourself in to one of the twelve mini-aeroplanes as you wait for your nerve shattering flight to begin. You’ll soar to a whopping 72 feet, giving you a birds eye view of Ocean Parade. Your plane will then start to whip through the air faster and faster. Grab the controls and let the air tricks begin. Will you take the scenic flight? Or push the limits with a series of heart-racing spins.Overnight at your Hotel. After breakfast. 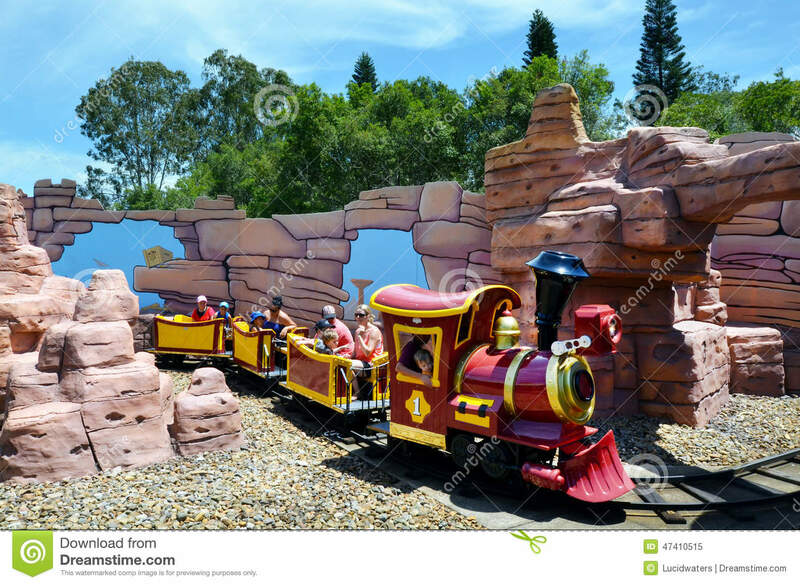 Return Seat in coach transfer to Seaworld OR Movieworld admission (Choice of 1 Theme Park). Morning Seat In Coach transfer Currumbin Wildlife Sanctuary admission. Afternoon Seat In Coach Transfer for Half Day Sea world Admission seal this new friendship with a kiss or dare to dive with the predators of the undersea! Dive into the Sea World, as you are transported to the wonderful underwater world of Bikini Bottom that comes to life right before your eyes with extravagant floats, stunning water displays and spectacular thematic boats in the world’s first Sponge Bob parade. Overnight at your Hotel.OR Seat In Coach transfer to Movie world admission sing and dance to an educational stage show, as you help Dora the Explorer and friends find each other in a delightful live show ‘Dora’s Best Friends Adventure’. Scale new heights at Castaway Bay – the World’s best adventure playground. Enter the amazing frozen world of Penguin .Overnight at your Hotel. After Breakfast. Check-out & Seat In Coach Transfer or Gold Coast Airport. Arrive Cairns Airport Seat In Coach Transfer Check-in Day Free & Overnight at your Hotel. Breakfast. Full Day Seat In Coach Transfer Big Cat Cruise Tour To Green Island Reef with Buffet Lunch, Semi-submarine & Glass bottom boat OR Snorkelling Gears Overnight at your Hotel. After breakfast. Full Day Seat In Coach Transfer Kuranda Tour including 1 Way Sky Rail admission (Not Valid for Diamond Gondola) & 1 Way Scenic Rail admission (Not Valid for Gold Class seating). Overnight at your Hotel . (Add-on either Tjapukai Cultural Park OR Rain forestation (Pamagirri Dance & Army Duck). After breakfast. Depart for Cairns Airport by Seat in Coach Transfer for your onward flight. Arrive Sydney Airport Seat In Coach Transfer to your Hotel. Overnight at your Hotel. After breakfast, A unique concoction of natural and man made beauty, Sydney is known as the Harbour City and is both, the oldest as well as the most cosmopolitan city in Australia. A multifaceted hub, Sydney is laced with history, culture, art, fashion and a variety of cuisines. It offers the traveler intellectual stimulation through interactions as well as the platform to explore some of world’s best natural resources.Welcome to Sydney! After immigration and customs, meet our representative outside in the waiting area. Board the coach for your transfer to the hotel.Check in to the hotel.You have the rest of the day free to explore your surroundings and visit nearby shopping areas. In the evening, you may opt to go for a Showboat Dinner Cruise (Optional). This luxury restaurant cruise starts from King Street Wharf. Be dazzled by the international show featuring professional Australian show girls in their glamorous costumes! Relish the finest and freshest three-course dinner menu. Be captivated by the breath-taking scenery as you sail through the shimmering Sydney Harbour with its mesmerizing panorama of bright city lights, the Opera House and the famous Harbour Bridge.Overnight stay at the hotel in Sydney. After a hearty buffet breakfast at the hotel, proceed for your optionally chosen full day trip. Blue Mountains Tour with Wildlife Park, Scenic Rides at Scenic World. Blue Mountains Tour with Wildlife Park, 2 Course Lunch & River Cruise. Blue Mountains Tour with Jenolan Cave (Lucas) & light takeaway Lunch. After a sumptuous breakfast at hotel, check out of the hotel and board your coach for your transfer to the Sydney airport.Bid goodbye to Australia with memories unlimited. 2. 2 blank pages are required to endorse the visa on the passport. 4. Attach your old passports if you have? b) NOC from the employer on the company letter head duly signed and stamped. c) Signature Proof copy of the signatory authority on the NOC. a) NOC required from a School/ College duly signed by Principal with stamp. c) If applicant is not doing anything then: Highest degree copy and undertaking letter from parents.